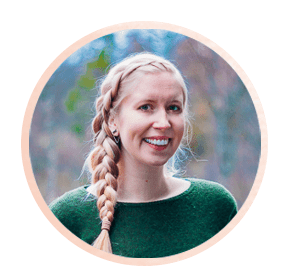 When Rachel and I first started planning our two weeks in Panama we pretty much only had two places on our itinerary: the Panama Canal and the San Blas Islands. 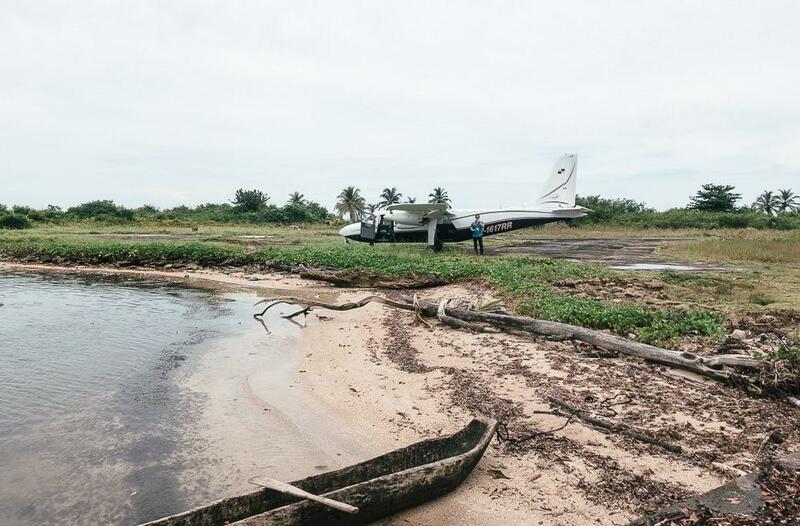 The canal was easy to visit, but arranging a trip to San Blas proved a little more tricky. Seriously, it was so difficult to find any update information about visiting San Blas Panama, which seemed so bizarre. 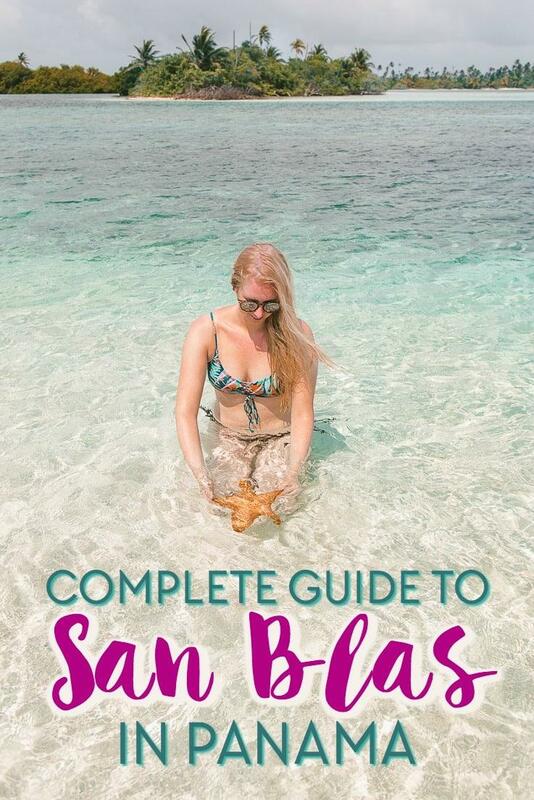 Like I kept reading through different San Blas guides that made it sounds so confusing and difficult to get there, and I wasn’t even sure if Rachel and I would be able to visit San Blas while in Panama. Except the funny thing is, in the end getting to San Blas was such a breeze, and if only we could have found accurate and up to date information about planning a trip to San Blas we wouldn’t have had any problems. Note to self: don’t trust any San Blas guide written by someone who only took a day trip to San Blas and spent about two hours there. Everything I read about how to get to San Blas from Panama City made the journey seem rough. People were saying the drive would take all day, we’d get soaked on the boat ride, and in general getting out there would be a bit of a nightmare. In fact I even began to wonder if it was really worth all the effort to get to San Blas. Sure everyone says San Blas is a real-life paradise but I mean, I’ve been to the beach before. So when our driver stopped for a long coffee break just an hour outside of Panama City I groaned inwardly – if we had such a long journey ahead of us why were we already stopping?! But then after about another hour on the road we were already pulling up to the port to get on our boat. Like, what? What about the unpaved roads that were meant to make us so carsick? And it wasn’t even 9 am yet! I was honestly so confused. The drive to San Blas was such a breeze. I don’t know, maybe it used to be really rough but now they’ve paved the road? Or people aren’t used to slightly windy roads? I get carsick incredibly easily and felt totally fine the whole way, so I’m sure you won’t mind the drive to San Blas either. And then they loaded us into a really nice, spacious speedboat where I didn’t feel even a drop of water from the waves. When they let us off twenty minutes later on a deserted island and rode away I did wonder if this was the tricky part Google had warned about, but then I spotted the captain of our catamaran coming out on a dingy to fetch us. And that was that! Seriously, our boat was so nice, there the boat ride was really short and easy, and everything just went so smoothly. I wish I had known this before because I feel like I wasted so much time worrying about the trip to San Blas when actually it was super easy. Plus when I think that I almost didn’t want to go because the journey seemed too difficult – that would have been such a shame considering San Blas ended up being my favorite part of my entire Panama trip! Tl;dr: Getting to San Blas, Panama is surprisingly easy and you should reach your accommodation in time to enjoy a late breakfast. There are a bunch of San Blas accommodation options on Booking.com, which as a non-Spanish speaker I found really helpful. But sailing San Blas is so much better! We were going to book three nights at this sea bungalow, but then we came across I Travel By Boat on Instagram and decided to take a sailing trip instead. And I’m so glad we did, because we got to see much more sailing from deserted island to deserted island, whereas I think we may have gotten a bit bored staying on just one island (though I do think they have options for planning day trips to other islands). Trips on a sailing boat cost $190 per night per person, including all meals, but we opted to upgrade to a catamaran for $250 per night per person. We shortened our trip to two nights instead of the three we would have spent in the cabin so in the end we didn’t end up paying too much more for a much better experience. You can also find tons of sailing options listed on Airbnb, so it could be worth browsing there as well to find the best deal. 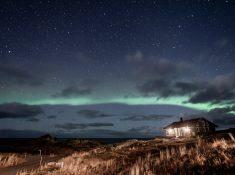 And they have some cheaper hut accommodation listed there too, which is great if you’re on a budget. You can check San Blas Airbnb options here. 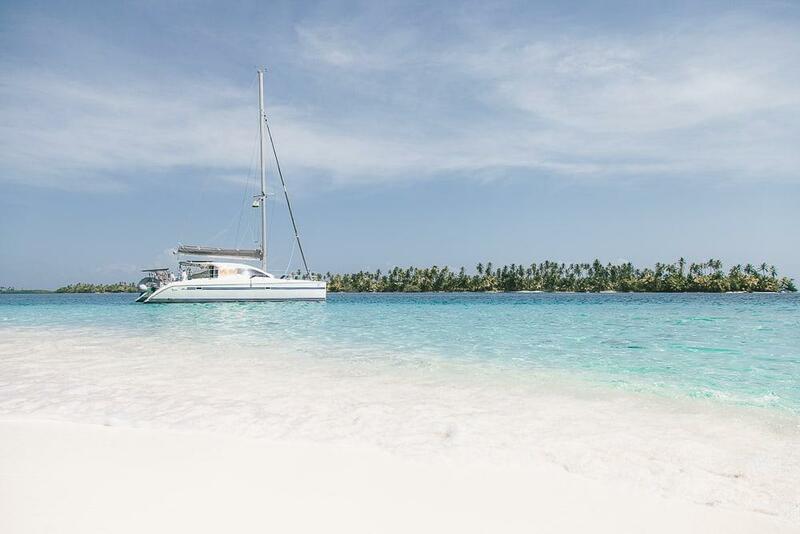 Another popular option for backpackers is to take a 4-day sailing trip with San Blas Adventures from Panama to Colombia, though just be aware that you’ll be sleeping on hammocks on the beach so don’t expect anything fancy. I’ve also heard that the water gets quite rough as you get out towards Colombia. It would probably be a nice option for meeting some fun people if you don’t mind roughing it though! But anyway, I definitely recommend sailing in San Blas if you can! Our sailboat also had stand up paddle boards for us as well as snorkeling gear, so we definitely didn’t get bored while out on the water. And the couple running the catamaran had so many fun suggestions for stuff to do – in fact we didn’t even get time for all of it (partly because we were too busy relaxing, haha). Our catamaran was owned by the sweetest young French couple, and seeing how much they clearly loved sailing around the Caribbean I was almost tempted to go fetch Dan and buy a boat. Their love for the islands was definitely contagious, and it was just so nice spending time with people who loved what they do for a living. 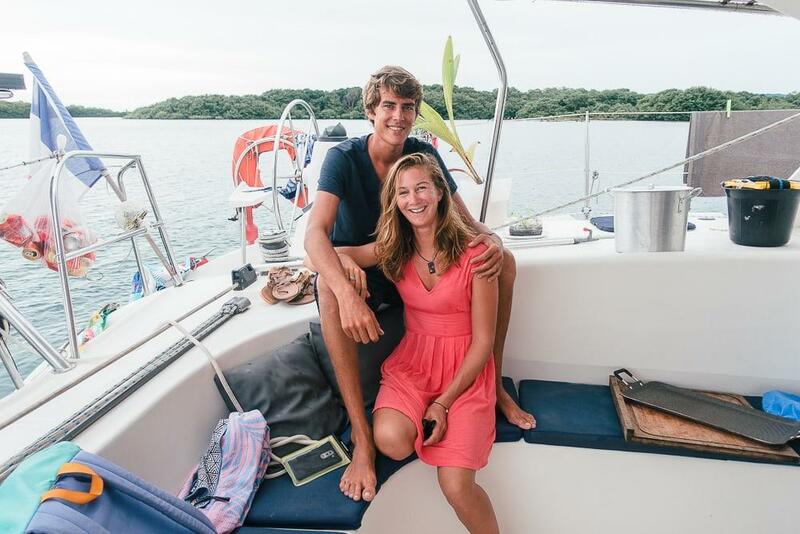 They left their careers in France to buy a sailboat and sail around the world, which was just the most inspiring story ever. And they had already sailed through a lot of different areas and said San Blas was one of the most beautiful places they’ve been. I also had been a little worried that I’d feel weird about staying on a private catamaran – like I’d feel awkward with the captain and his wife waiting on us. But it was totally relaxed and we seriously just all hung out like friends. I loved our dinners together in the evening, and during the day they always suggested stuff that we could either do with them or on our own, so it felt like if you want to hang out with them they’re totally up for it, and if you prefer some privacy they’d be fine with that too. One of my big questions when trying to plan this trip was how to get to San Blas from Panama City. Basically everyone going to San Blas will be starting from Panama City. 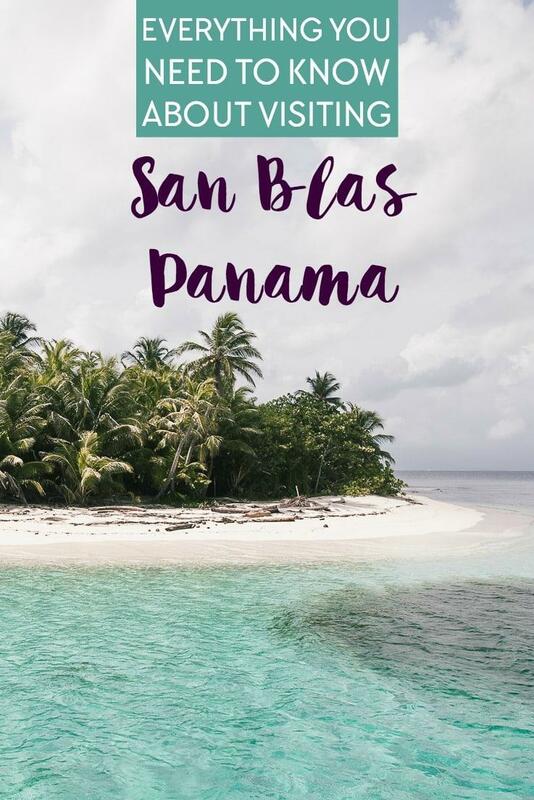 In fact apparently a lot of people fly into Panama City only with the intention of visiting San Blas – something I might do next time, because San Blas itself is well worth the trip to Panama. Now, San Blas is an autonomous region in Panama (also called Kuna Yala), and people say it’s difficult to get there independently. But don’t worry, your accommodation will be able to arrange your transport to the islands. We paid $70 for the transport to our catamaran – $30 for the minivan to the port, $20 for the boat ride, and $20 in Kuna fees. That said, we met a couple who drove a rental car to the harbor and they said they didn’t have any trouble getting through the checkpoints on their own. But other people have said you will get questioned a lot if you’re traveling on your own, so it still seems easiest just to take your accommodation’s transport. Our minivan was comfortable enough and it’s a short journey anyway. 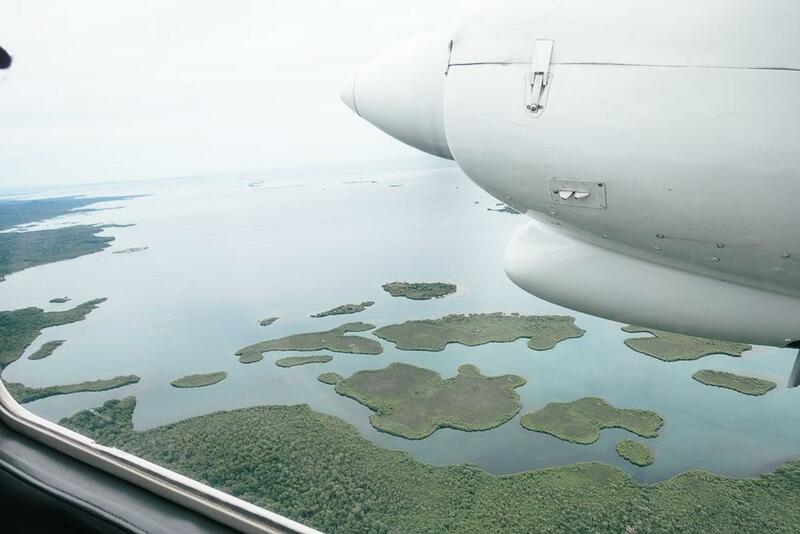 The Kuna Yala region has a bunch of airports which run flights to Panama City through Air Panama, usually for around $100, so flying to San Blas doesn’t need to break the bank. They’re listed on Air Panama’s site as Achutupo (‎ACU), Corazón de Jesús (‎CZJ)‎, El Porvenir (‎PVE)‎, Malatupo (‎MPP)‎, Playón Chico (‎PYC)‎ and Puerto Obaldía (‎PUE). I would get in touch with I Travel By Boat, or whomever you’re sailing with, and asking them which airport you could fly back from, depending on how long you’ll be sailing for. And if you want to be super fancy, you can even charter a plane and fly out of one of the smaller airstrips that only serve private planes. They run about $3,000 for an eight-seater plane. Uh, so Rachel and I weren’t being that fancy, but we ended up being really lucky as on the day we were leaving San Blas a family had chartered a plane out to San Blas and since the plane was going to return empty, they let us take the flight back for the same price as ground transport. So we got to fly in a private plane back to Panama City! And oh my goodness, the views. 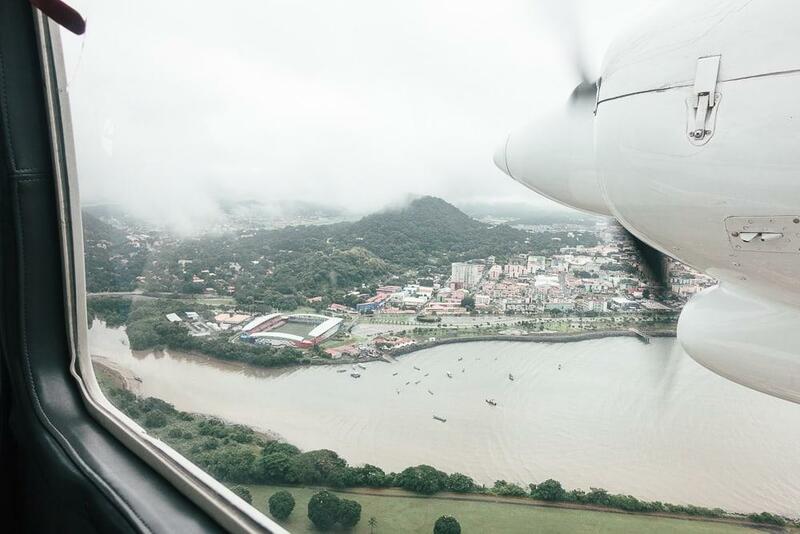 We flew over the Caribbean beaches and then inland over dense rainforest towards the city. It was amazing how varied the landscape was in such a short journey – Panama really does have it all! And then flying into the city was really exciting, as it was sort of like getting a helicopter tour over the city (something that apparently you can also do). Some people just drive a rental car out to the San Blas port and find accommodation when they get to the port. This is probably the cheapest option, as then you can probably find accommodation for as low as $20 – $30 a night, but of course there’s a bit of a risk involved if everything is all booked up. Though I imagine someone would rent you out a beach hammock if need be! And like I said before, the road from Panama City to the port is paved the whole way so it should be a fairly easy drive. You’ll just have to stop at the border patrol to show your passport and pay the $20/person fee before you can continue on to the port. Again, everything I had read about San Blas online made the process of getting there and finding accommodation seem so daunting, but I promise it isn’t! 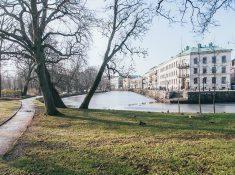 Getting there is super easy, and you should have no problem with your accommodation. So relax and have fun planning this trip, because you are going to love it when you are there! So, how long do you need in San Blas? 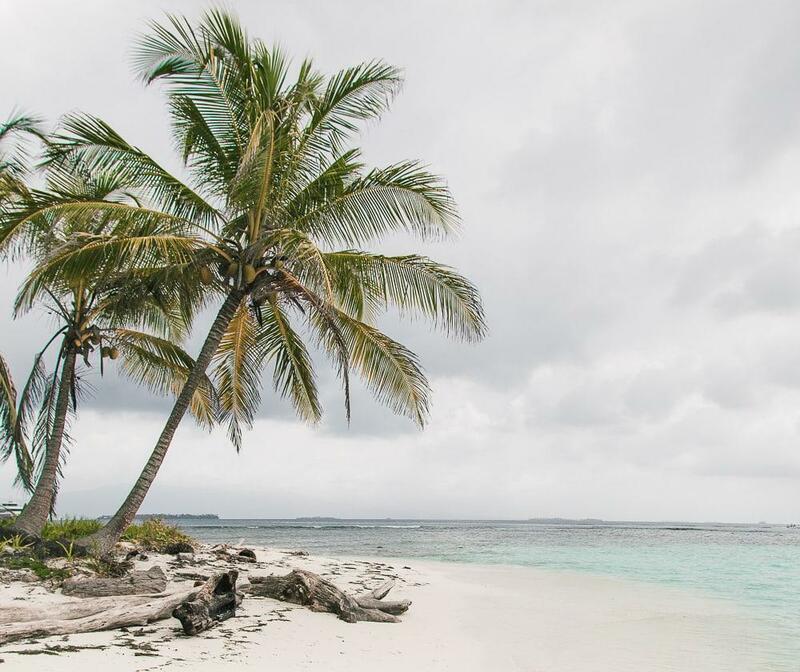 You can actually organize day trips to San Blas if you want, but you’ll only get a few hours there and won’t have time to reach the more remote islands, so I imagine it would just feel like a bit of a tease. If you’re really pressed for time though, this San Blas day tour will take you from Panama City to San Blas for the day and it has really good reviews. You could experience more with one night, but honestly I would really try to spend at least two nights in San Blas. 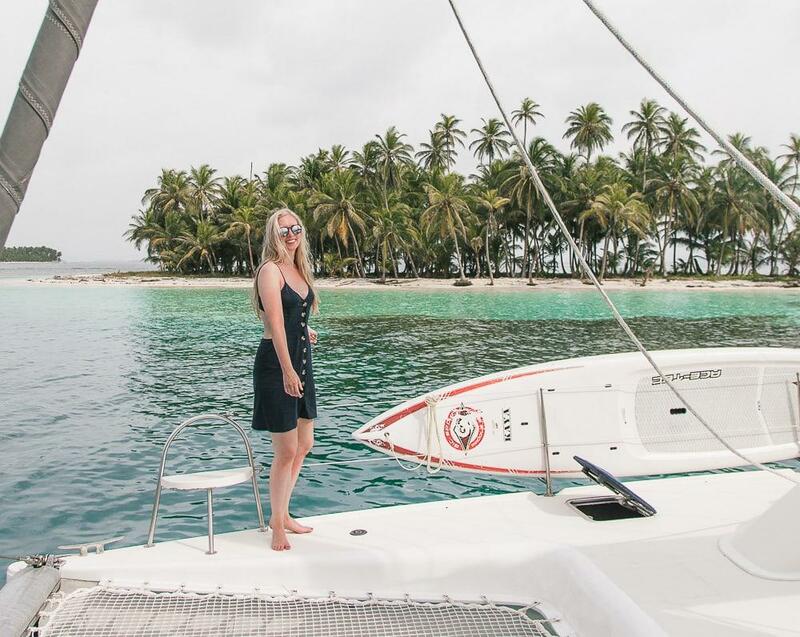 In fact Heloise and Florian, the couple running our catamaran said that they’re going to start only accepting guests for a minimum of three nights, and they really recommend trying to come out for four nights if you want the true San Blas experience. I’m not sure I would necessarily want to stay more than three nights though, because staying on a boat does get a little cramped. Like I was dying for a proper shower by the time we got back to Panama City. Then again Heloise and Florian live on the boat full time, so maybe I’m just a bit high maintenance – or not quite used to the sailing life yet! Okay, duh. But if you want you can start from where we did and then continue sailing to an island with an airport and fly back, so you won’t have to go in a circle and see the same thing twice. A lot of people also sail all the way to Colombia! I have heard that the crossing to Colombia gets rough, so just be aware if you are prone to seasickness. I’m definitely prone to getting seasick, but I’d still love to do the full journey to Colombia. Plus I’ve been wanting to visit Colombia for ages and I can’t think of a better trip than combining it with San Blas. It’s definitely on my bucket list, and I hope I can do the journey soon – in which case I promise to report back on how it was. But is San Blas really that special? 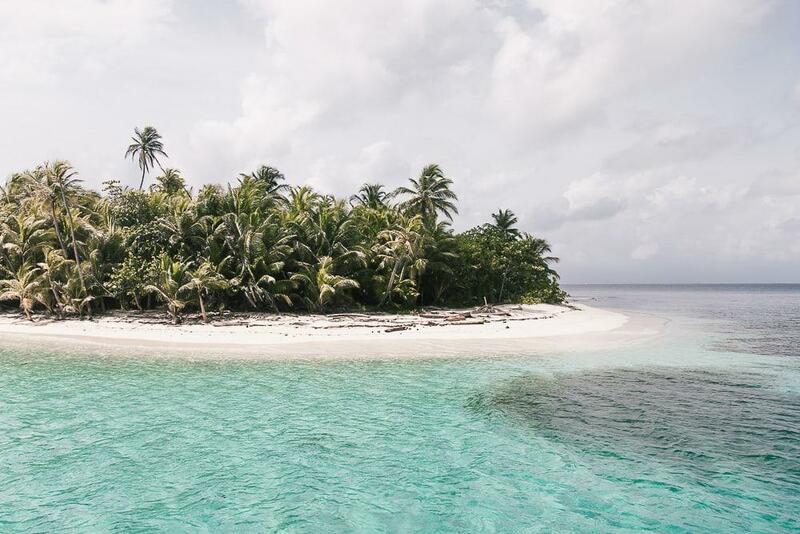 I was talking to a friend here in Norway about how much I loved the San Blas Islands, and she was like yeah, it sounds amazing, but is it really worth the journey? I know I’ve said that the journey to San Blas was a lot easier than expected, but it still took several hours to get to the islands from Panama City, whereas there are other Caribbean islands you can fly straight to and then get a short taxi ride to your hotel from the airport. And yes, there are easier places to get to, but they’re not the same! San Blas honestly still does feel like an island paradise. It hasn’t been built up by big hotel chains (all the accommodation is instead run by locals) and each island feels like a tiny deserted island in the middle of nowhere. I can’t think of anywhere else in the world I’ve visited that is quite like San Blas, which is impressive considering I’ve visited over 80 countries and a whole lot of beaches and islands. If you want a unique island getaway where you feel like you’re getting to know the local culture as well, then you will love visiting San Blas. You’ll be “roughing it” a bit, but it’s worth it! Like I said, all of the accommodation on the islands is run by the local Kunas, and the sailboats also work closely with them, paying to visit each island. This means that you won’t find any big fancy resorts on San Blas – but I think that’s a good thing! When I was booking our San Blas accommodation I remember thinking that it would have been easier if there were just a big hotel to book, but once I saw San Blas I realized that even if there had been a fancy hotel to stay at, that would have been the wrong way to experience the islands. Traveling San Blas is all about experiencing the beautiful views and lovely island culture, and the best way to do that is by boat. We did pay extra to stay on a catamaran, which gave us more space and a higher level of comfort. But even though the catamaran was the “fancy” option, we were still sleeping and showering on a boat. So just be aware that San Blas might not be the most luxurious stop on your Panama trip – though it might well be the most beautiful! Actually I sort of loved the lack of luxury, because I feel like we really felt like we were just young and free sailing through tropical islands. It reminded me of my days as a backpacker. Well, except for the fact that I was on a private boat and drinking cocktails served on a paddle board! So maybe San Blas isn’t totally roughing it. 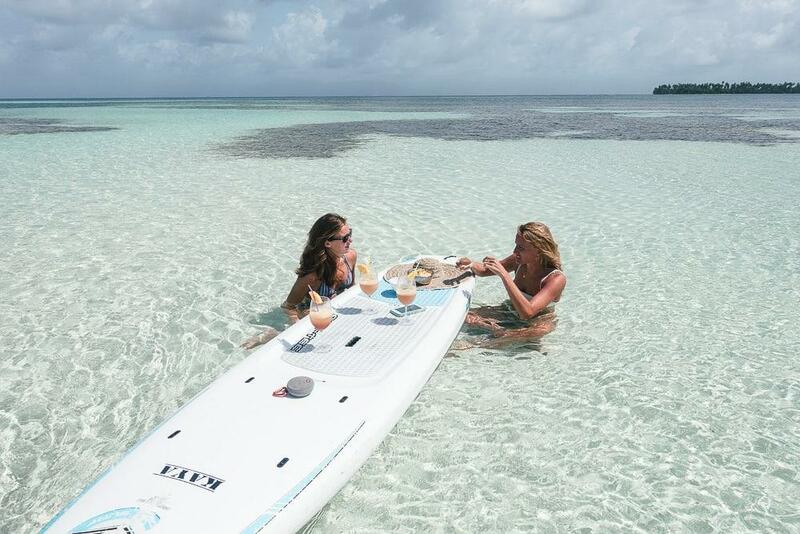 who needs fancy restaurants when you can have lunch on a paddle board? Coming to San Blas in the middle of rainy season, I expected a lot of afternoon showers but hoped for some moments of sunshine as well. I was also really worried that the winds would be strong, which would not have made for a very pleasant time sailing. But we didn’t have any strong winds on San Blas at all! It rained one of the nights we were there, but during the days the skies were clear – too clear in fact, as Rachel and I both left San Blas with some brutal sunburns. Seriously you guys, do not forget to reapply your sunscreen, even if it’s “rainy” season. In fact we had sunshine almost everyday during our sixteen days in Panama in rainy season. Speaking of sunshine, the San Blas sun is no joke! Luckily I’m one of those people that even wears sunscreen in the dead of winter, so I had enough sunscreen packed for both me and Rachel. And no, I do not understand how Rachel managed to go to San Blas without sunscreen. Like, she does live in Mexico and is way more used to the sun than I am, but seriously? I’m so jealous of people who don’t immediately burn once they stand under the sun. Thank you, Scandinavian genes. Speaking of things to pack, remember to bring your passport to San Blas! You’ll have to go through a Kuna checkpoint where they check everyone’s passports. The driver will also remind you to have your passport as soon as you get in the van – I wonder if they’ve had tourists come without them and have to turn back. The ground transport doesn’t have much room for luggage, nor does the boat, so you should just pack a small bag with everything you’ll need for San Blas and leave the rest of your stuff at your hotel in Panama City. So many people travel to San Blas from Panama City that your hotel should be used to storing people’s luggage for a few days. And I believe even if you don’t have a hotel in Panama City, a lot of tour companies will also offer luggage storage if you book through them, so you don’t need to bring your whole suitcase with you to the islands. We asked what we would need to pack for San Blas and they said “a couple of swimsuits, a towel, and sunscreen.” And that basically was it! I packed pajamas, three light dresses, one cardigan for the evenings, and three bikinis. And then I didn’t actually bring any makeup with me, only some sunscreen for my face. I had read that you need to bring your own towel for the cabins, and while our catamaran had bath towels for us I brought a quick dry travel towel to bring with me to the beaches. Because getting sand in your shower towel is the worst. I say that because I forgot to bring my GoPro so missed out on all those snorkeling shots! Of course if you don’t have a waterproof camera don’t worry, the views above the sea are just as spectacular. In the evenings our captain would buy fresh lobster from Kuna fishermen and we would have a feast – and I mean feast. We also ate a lot of fresh fish, so if you don’t like seafood you should probably let your accommodation know beforehand! 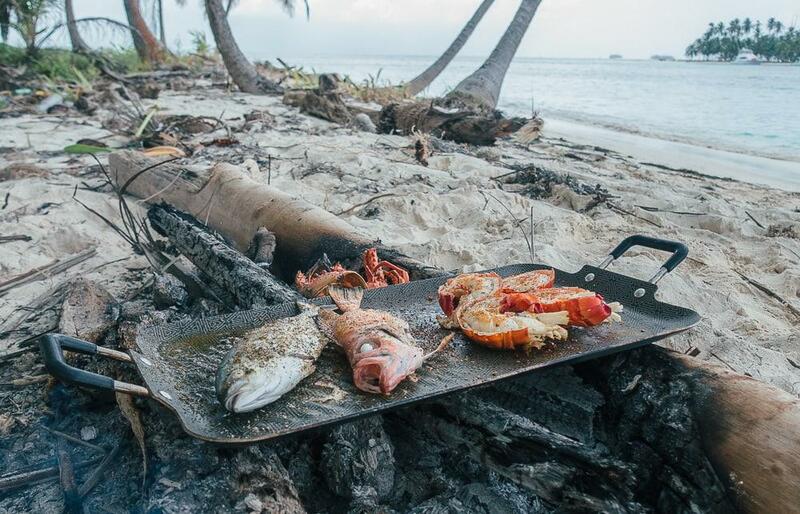 But I hope you like seafood, because there’s nothing quite like barbecuing a fresh catch on a deserted island. We had so many amazing meals of fresh seafood that now when I think about San Blas I always find myself getting a little hungry! Plus it was really nice to eat seafood when hanging out in a bikini all day because the meals were all fresh and light, instead of something heavy like burgers or pizza. 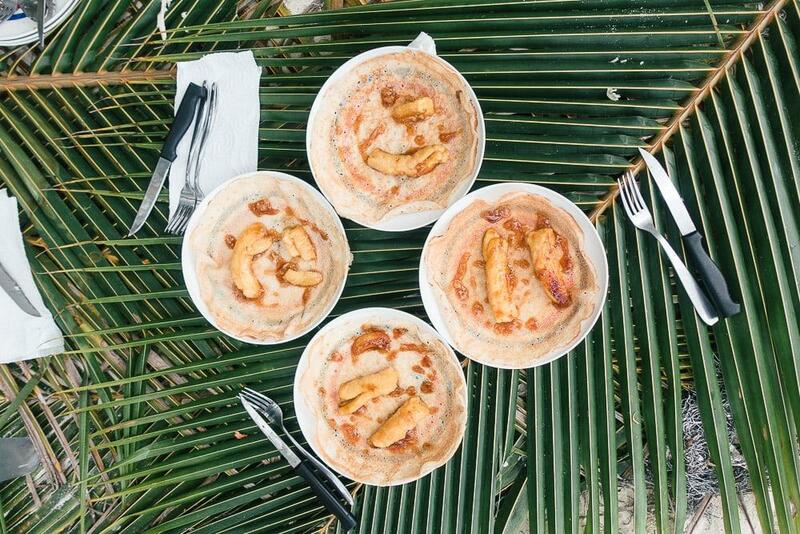 The grilled bananas with rum were also pretty tasty. Seriously, they were true chefs here! I feel like most of the photos I’ve seen of people at the beach in Panama feature starfish, and it’s true, you’ll see a lot of big starfish in San Blas. 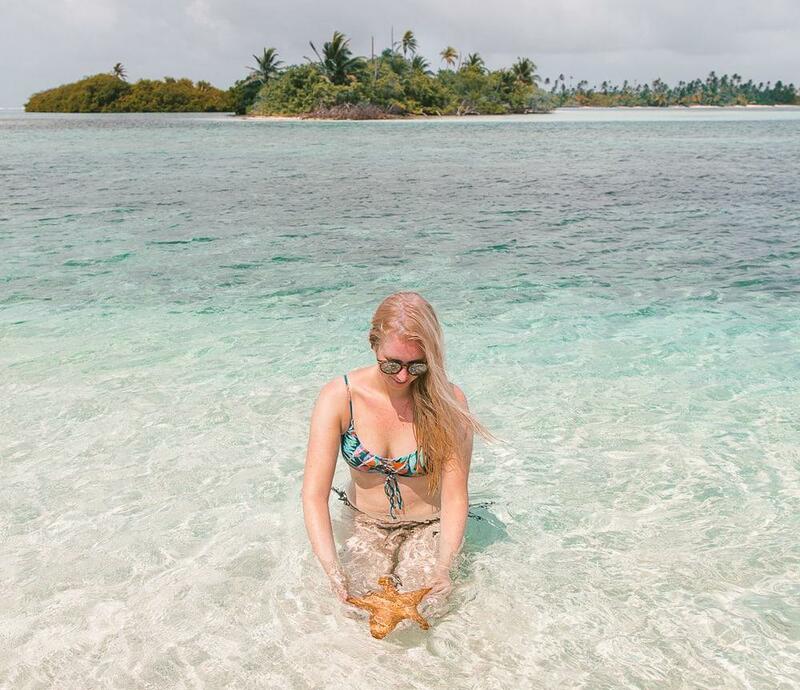 Like Rachel and I only had to look for about thirty seconds before we found a starfish to take a picture with – so worry not, you can definitely make your starfish photo dreams come true on San Blas! But I had also read that starfish can die from being picked up by people, so I was wary of touching them. Our captain explained that you should only touch a starfish that is floating in the water or sand, not one that is stuck to a rock, and as long as you only touch it gently and don’t try to lift it out of the water it will be totally fine. And I would try to limit yourself to one starfish instead of going around and gathering a bunch for your photo – plus that way you don’t need to move it away from wherever it was hanging out, as you can instead just photograph it wherever it is. Literally every single Panamanian we spoke to about our itinerary responded with a nervous laugh when we told them we were heading to the Gulf of Chiriqui and Bocas del Toro after San Blas. And now I get it. All of the islands we visited in Panama were beautiful in their own right, but none could compare to San Blas. I mean, can anywhere in the world compare to San Blas? In fact of all the places I visited in Panama, San Blas is at the top of my list of places I want to return to. 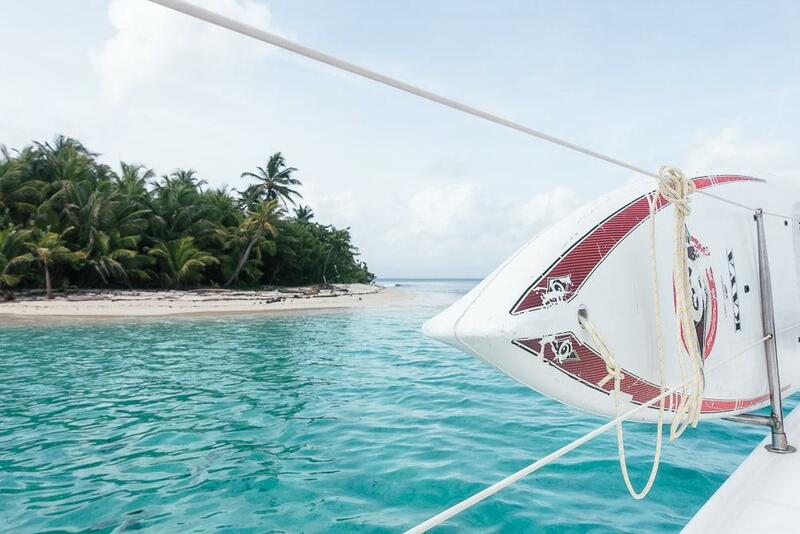 And until then, I will be dreaming about the amazing time I had sailing my way through the San Blas Islands. What year did you go there? 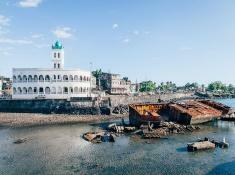 I’ve heard there have been lots of issues getting sailing trips in the area after the March 2018 Guna congress, including getting turned away from prior reservations when arriving at the port in Carti. Btw: Does road away mean rode away? Haha thanks for the catch! And yeah, I really need to get one of those long sleeved swim tops myself.